Another fight against Cody Garbrandt resulted in another brutal knockout win for TJ Dillashaw, the UFC Bantamweight Champion. The former TUF competitor knocked out Garbrandt last November at UFC 217 to take back the title he previously held, and after a game of cat-and-mouse with Demetrious Johnson about moving down to 125 lbs, Dillashaw ultimately stayed at 135 lbs and rematched Garbrandt in the main event of this past Saturday's UFC 227 event. Like the first time these two fought, Dillashaw was once again able to land on Garbrandt's chin and knock him out. 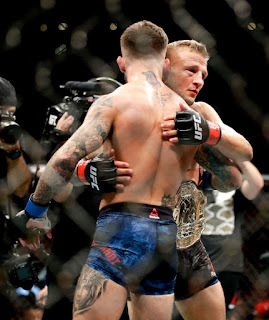 The win over Garbrandt means that right now Dillashaw is the best bantamweight on the planet, and it's not really a competition at this point. But the question is, do two wins over Garbrandt make Dillashaw bantamweight's Greatest Of All Time? I think he's close to being considered that, but there's still one man in his way from certain recognition, and that's Dominick Cruz, who defeated Dillashaw via split decision in 2016 to win the title and was stripped from due to injury. It's true that Garbrandt beat Cruz and Dillashaw has beaten Garbrandt twice, but a head-to-head win carries more weight than so-called "MMA Math" -- Dillashaw needs to beat Cruz to prove beyond a shadow of a doubt that he's the best bantamweight to ever live. When you compare the resumes of Dillashaw and Cruz right now -- because honestly these are the only two guys in the conversation as the greatest bantamweight of all time -- it's very close. Dillashaw has two wins over Garbrandt, two wins over Renan Barao, and one win apiece over Raphael Assuncao and John Lineker, with his only losses coming to Cruz and Assuncao in split decisions, as well as a TKO loss to John Dodson in his UFC debut when he was extremely green still in the sport. Cruz has the win over Dillashaw plus two wins over Urijah Faber, two wins over Joseph Benavidez, a win over Ian McCall, and a win over Demetrious Johnson, plus a nine-year stretch between 2007 and 2016 when he didn't lose. A couple of major injuries derailed Cruz' career for a bit, but even with the time lost he still has an incredible resume, with his only losses coming to Faber and Garbrandt. It's a very close contest on paper between Dillashaw and Cruz for the title of "GOAT," and honestly, this question might already have been settled had the judges scored their fight in Dillashaw's favor. Instead, that close split decision loss that is the reason why we can't say for certain that Dillashaw is the greatest to ever do it at 135. That's why I believe a rematch makes sense next. We know that Dillashaw is a competitor and he wants the fight. We know Cruz wants the rematch. Sure, Assuncao and Marlon Moraes are deserving of title shots, but the Cruz fight is Dillashaw's legacy fight, and right now a win over Cruz would do more for Dillashaw than a win over Assuncao or Moraes would. And from the UFC's perspective, Dillashaw vs. Cruz 2 seems like it could be at least a co-main event on pay-per-view, while those other matchups don't seem as big of a draw. 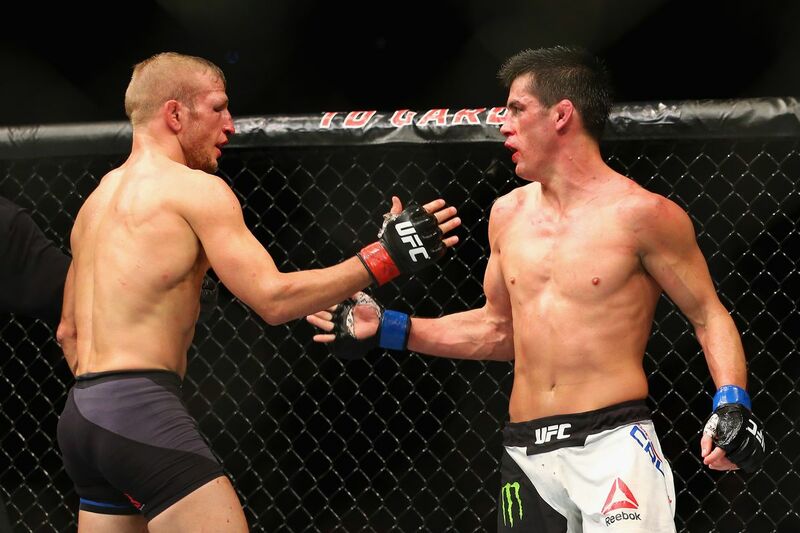 The first fight between Dillashaw and Cruz was terrific, and it ended in a close split decision win for Cruz. Almost three years later, the time has come for the rematch. Coming off of two knockout wins over Garbrandt, Dillashaw is looking to show the world he's the best bantamweight of all time, while Cruz is looking to prove that despite the loss to Garbrandt he's still the best 135-pounder ever. The rematch makes so much sense right now, and we'd finally find out for certain who bantamweight's GOAT really is. Hopefully both guys can stay healthy so we can see what happens. • T.J. Dillashaw vs. Cody Garbrandt 2 (UFC Men's Bantamweight Championship): TJ Dillashaw def. 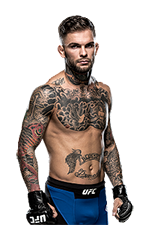 Cody Garbrandt via TKO (strikes) 4:10 of Round 1. 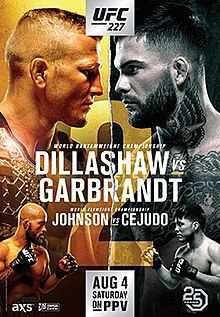 UFC 227: Dillashaw vs. Garbrandt 2 took place August 4, 2018 at Staples Center in Los Angeles, California.